I've been straightening my hair virtually everyday since I was about 16 years old. 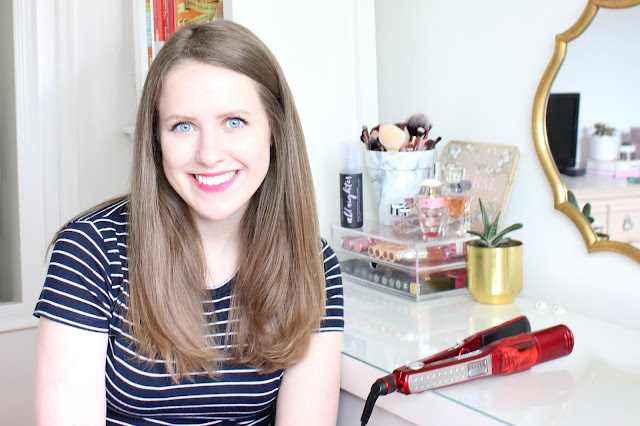 And because my hair is naturally a wavy-curly-frizzy mess, I'm always on the hunt to find tools and products that cut down my styling time, and keep my hair looking straight and fresh for as long as possible. 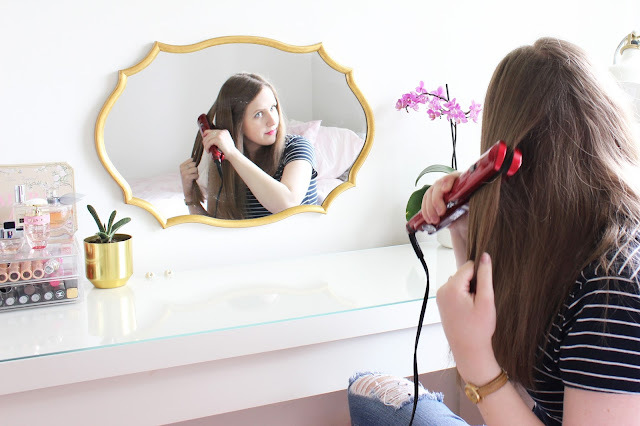 I was sent the Conair Infiniti Pro Ionic Steam Flat Iron a few weeks ago, and I've been putting it to the test. Keep reading to hear my thoughts on it. 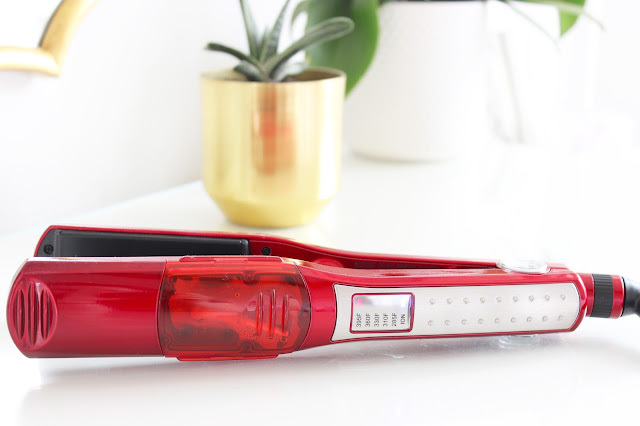 Pros: Because it has such large panels, it makes straightening your hair a very quick task. I can straighten my entire head in about 10-15 minutes, which cuts off about 5 minutes in the morning. It only goes to 395 fahrenheit, so I don't feel like I'm going to burn my hair the same way I do with my BaByliss PRO straightener, which goes to 450. The price is also a huge bonus! 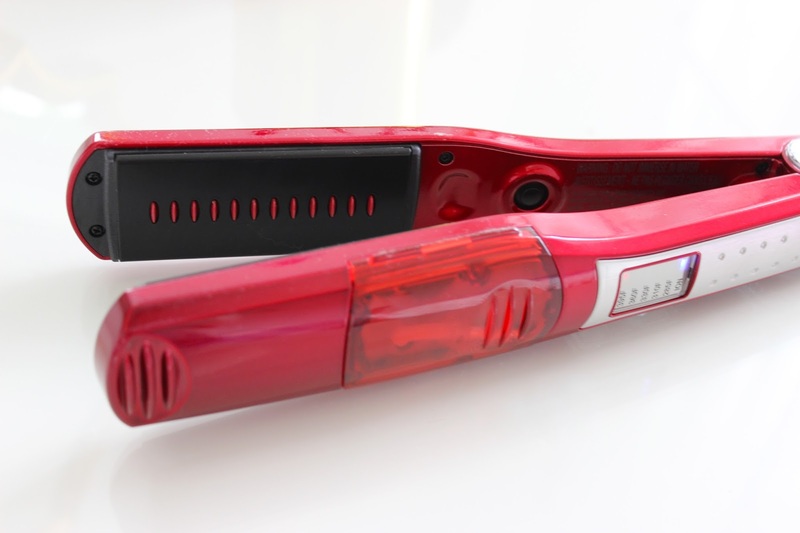 The straightener is only $79.96, which is an amazing price considering how well it works. Cons: The large panel makes it hard to get the fine pieces of hair around my face and ears. Those areas tend to curl the most on me, so they need some extra attention in the mornings. In addition, the steam function is supposed to make your hair look shinier and more refreshed than if you just used the straightener on its own. 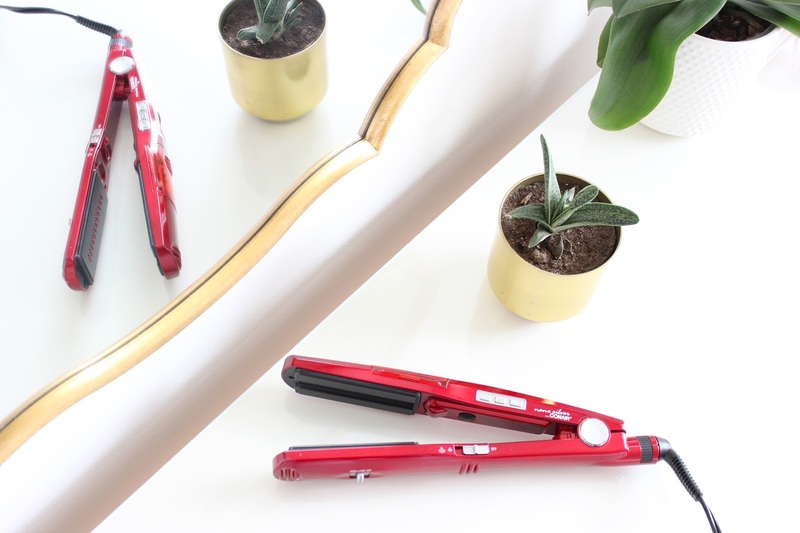 I personally didn't find it made any difference, and the function makes the straightener a bit too bulky, which would be annoying, especially if you were traveling with it. Neutral: There are adjustable combs built into the straightener that will help straighten thick or course hair. I generally keep it on the middle setting, but don't see much of a difference between when I have the combs out or not. But it does help brush through any knots that I may have to ensure my hair is very straight. I also find that while my hair stays relatively straight throughout the day, I'll wake up the next morning to find a lot of curls and frizz again. 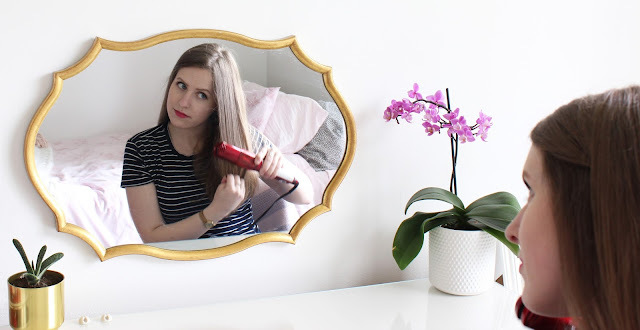 While the straighter does claim to keep your hair straight even in humid conditions, I found it worked nominally better than other straighteners I have used at keeping my frizz at bay. I think my hair is just too temperamental and will never stay pin straight throughout the day, especially in the warmer months. Overall, I was pleasantly surprised with how well the straightener worked. I haven't used Conair products since I was a teenager, because I always associated the lower price with lower quality. But based on my experience with the Conair Infiniti Pro Ionic Steam Flat Iron, I would definitely try some more products from the line. 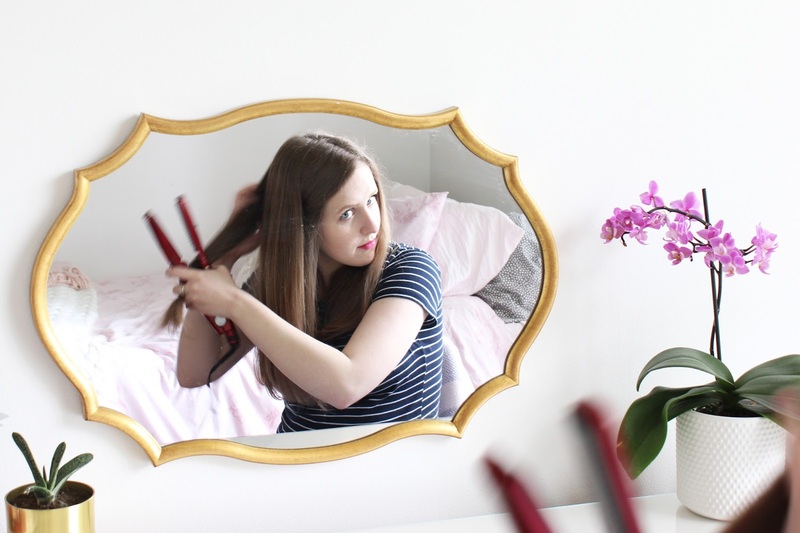 Have you used Conair before? What's your favourite product?